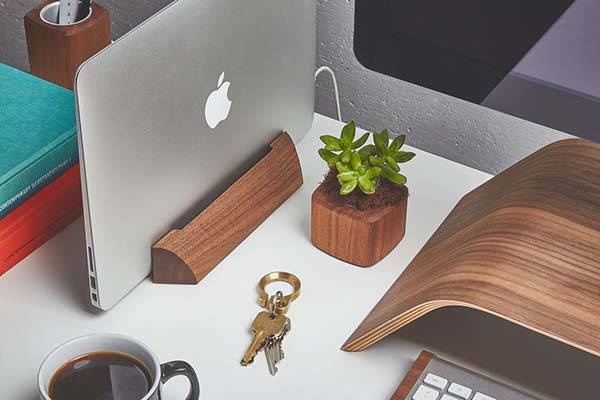 Grovemade has released their latest walnut docking station for MacBook. With its natural material and minimal design, the dock offers a decent way to keep your precious MacBook in place. This is a simple and practical docking station designed for MacBook. The MacBook dock measures 8 x 3.25 x 1.5 inches. 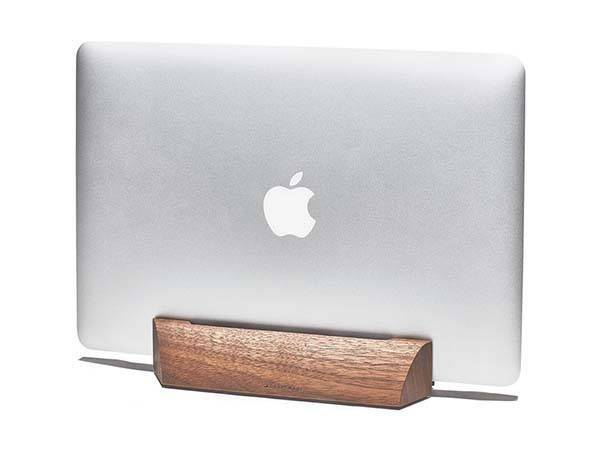 As we can see from images, the dock shows off a minimalistic and portable design, so you won’t worry about it taking up too much space on the desk or destroying the style of your interior decoration, and the wood grain makes every walnut MacBook dock one-of-a-kind, which adds natural and eco-friendly feeling to the desk. 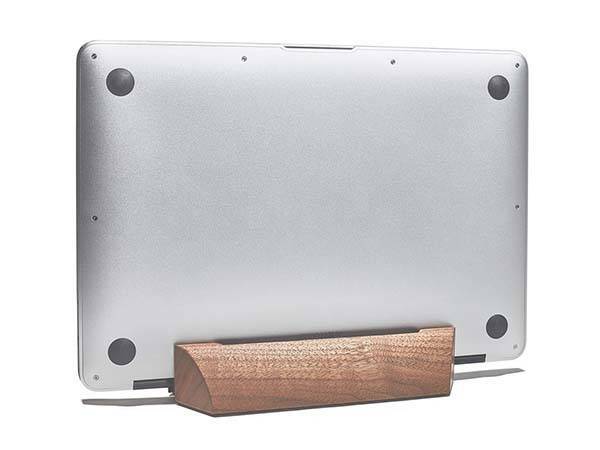 The MacBook dock is made from walnut and hand sanded and finished with vegetable-based oil for a durable and long-lasting construction. Using its custom groove lined with premium German wool felt, the docking station securely keeps your MacBook in vertical position for saving space. In addition, a solid aluminum base provides enhanced structure, and natural cork feet keep the desktop free from scuffs. The walnut MacBook dock comes in five models for different MacBook models, each is priced at $79 USD. If you’re interested, jump to Grovemade for its more details. This entry was posted in MacBiz and tagged grovemade, Macbook. Bookmark the permalink. Save your iPhone’s battery with these Low Power Mode tricks!